Aesteiron is Equal Cross Suppliers. We provide a range of equal and unequal cross that are known for high-strength, less maintenance, excellent finish and longer life. Resistant to corrosion, our range can be ideally used in very high and low temperature conditions. 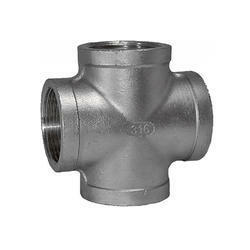 Our range of equal and unequal cross are available in varied specifications in order to fulfill diverse industrial requirements. Attributed in the industry as a distinguished provider, we are immersed in offering Hydraulic Equal Cross to our prestigious patrons. Owing to our proficiency in this domain, we are engaged in offering our clients with a wide gamut of Equal Cross. 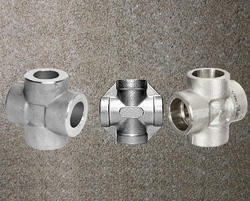 The offered product is meticulously tested on various quality parameters and is mainly used in industrial pipe lines. Provided product is manufactured by utilizing optimum quality raw material and latest technology.